A quick weekend getaway is the perfect way to escape the stress of daily life and recover your energy and motivation. There are options in quiet romantic inns as well as those close to downtown areas filled with activities that let you be social. You can choose to have as many amenities on site as you want to make the most of your getaway or take a chance to truly go “unplugged” and relax completely. With so many great choices, there should be no trouble finding a getaway that has everything you need. We've already written about great trip ideas from New York City, Washington D.C., Boston, LA, San Francisco, Seattle, Dallas and many other cities. Omni Barton Creek Resort & Spa is the perfect getaway for those who like a diverse of choice of activities in a beautiful setting. Guests have access to an indoor pool and an outdoor pool, four different 18-hole golf courses, the Three Springs Spa, eleven tennis courts, and a fitness center with 11,000 square feet of space. The property also has scavenger hunts, mini golf, and nature trails designed with kids in mind. Your children can also spend some time in the Kids’ Club while you enjoy some time to yourself. Dining choices include the Hill Country Dining Room for steak, the 8212 Wine Bar & Grill for signature meats and wine, Bartons Lounge for socializing and drinks, the Pool Cabana for a poolside drink, or in-room dining. The property has wireless internet, and all rooms have irons, in-room safes, Keurig coffee makers, hair dryers, desks, robes, refreshment centers, in-room movies, and 42-inch flat-screen TVs with cable. Ask the concierge if you have any special requests or needs. 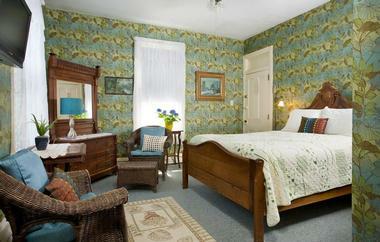 This romantic bed and breakfast has elegant accommodations and modern amenities. All rooms have air conditioning and free high-speed wireless internet. There are eight guestrooms, each of which has its own private bath, triple sheeting, luxury linens, down filled duvets, individual air conditioning and heating, ceiling fans, LCD cable TVs, iPhone/iPod clock radios, spa robes, spring water, hair dryers, irons, plush cotton towels, and toiletries from Gilchrist and Soames. There is also a unique two-story guest suite with an extra sitting room and spacious shower. Guests can relax in one of the numerous common areas, including the living room with its original 1849 marble fireplace and a 2000 square foot wrap-around verandah. You can spend some time strolling around the gardens as well. There is also a Bistro with refreshments for guests to enjoy. All guests are treated to a complimentary breakfast on the verandah or in the dining room with items like tea, hot chocolate, coffee, juice, fresh fruit, fresh pastries, and a personal quiche or other item with options for lighter fare. The inn also provides afternoon refreshments and home-baked treats. The Mohicans gives guests the chance to relax and connect with nature, and it is a popular location for weddings as well as weekend or weeklong getaways. Guests have the choice of staying in one-of-a-kind tree houses created by Pete Nelson, a world-renowned tree house designer, or in one of the Amish-built rustic cabins with excellent appointments. The entire property is environmentally friendly, including the toiletries, paper products, and soaps you will find in the rooms. There are four cabins and six tree houses to choose from. The cabins have room for eight to fifteen guests depending on the building and varying amenities that may include fire rings, charcoal grills, picnic tables, leather couches, large dining room tables, full kitchens, multiple bedrooms and bathrooms, TVs and DVD players, covered porches, radiant heat floors, and down bedding. 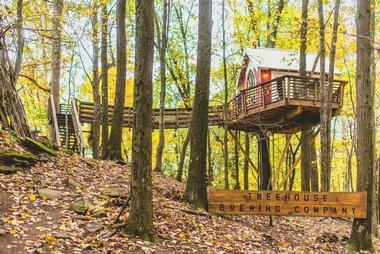 The tree houses can sleep up to four guests, offering more privacy. Tree houses have kitchenettes or kitchens, bedrooms, outdoor showers, radiant heat floors, decks, and/or living rooms. Linens are provided, but bring your own toiletries. The Envoy Hotel is in Boston’s emerging Innovation District and has 136 rooms for guests. The hotel is known for its bold interiors and laidback style with rooms and suites facing the water to provide a picturesque view with some extra flair. 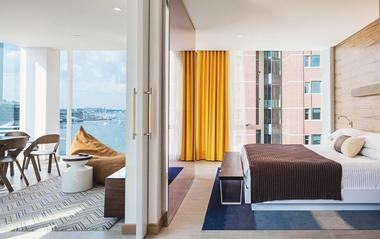 All rooms have free wireless internet, a workspace, and a modern bathroom, and some also have floor-to-ceiling windows overlooking the harbor, seating areas, a gaming TV zone, an extra Swing Table, and more. Guests have access to the Fitness Center, which is open 24/7 and has cardio equipment along with free weights, cable machines, yoga equipment, headphones, water, and fruit. Enjoy a meal, snack, or drink at the Outlook Kitchen and Bar with its enticing water views. On the sixth floor, the Lookout Rooftop and Bar also serves your favorite drinks. Hotel Indigo Lower East Side is right in the heart of the Lower East Side, offering guests an urban oasis with spacious rooms and amazing views. There are 293 guest rooms with excellent appointments, including a Duplex Penthouse Suite and four luxury suites. All rooms have amenities such as Samsung flat-screen TVs with more than fifty channels, murals by Lee Quinones, C.O. Bigelow products, spa style bathrooms, automated minibars, safes with room for laptops, irons, hair dryers, dual phone lines, hardwood floors, sky views, and desks. You can also choose a room with a terrace, unique murals, adjoining rooms, separate living rooms, or the penthouse with its 360-degree views and outdoor terraces. 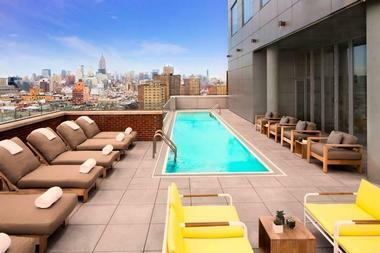 The seasonal rooftop pool is on the 15th floor and has sweeping views of the skyline. The fitness center is open 24 hours and has cardio equipment, free weights, and weight machines. You can also take advantage of personal training. The hotel is also pet-friendly so you can bring your furry friend along. Have a drink at Mr. Purple, the rooftop bar, or get a drink and snack at the Lobby Bar and Café where you will find coffee, fresh juice, beer, wine, cocktails, and more. 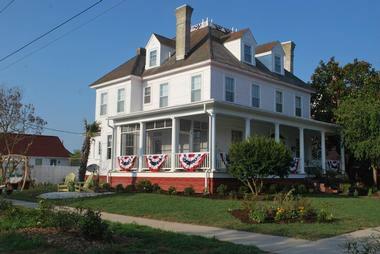 This national historic building gives guests easy access to Cape May and was built in 1882. The hotel has twenty rooms, and it is only a half block away from the beach and great for families or romance. 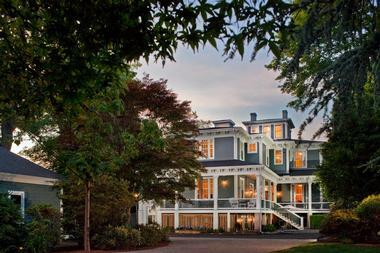 It combines Victorian charm with boutique accommodations. Every room has hair dryers, irons, bathroom toiletries, private baths, iPod docking stations, free wireless internet, TVs, and phones. Some also have fridges, private porches, and/or seating areas. Guests are welcome to borrow beach chairs and umbrellas to enjoy some time by the water. Every room comes with a breakfast voucher for the on-site Mad Batter Restaurant, and you get 30 percent off dinner entrees at the restaurant as well. This restaurant also has live music during their happy hour at the Blue Batter Bar. 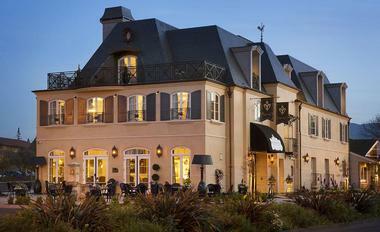 The Enchante Boutique Hotel aims to give guests the experience of staying in a French chateau. Rooms have monogrammed robes, spa quality toiletries, Carrera marble bathrooms, oversized showers, fireplaces, exceptional mattresses, real wood windows, and sheets like silk. You also get true HDTV, and the entire property has wireless internet. There are seven room types to choose from with king or queen beds. Many have French Posters and miniature balconies, and some are dog friendly. You can also choose one with a crystal chandelier, marble bathroom, 180-degree views, living rooms, and/or separate pedestal tub. You can relax in the library with a flat-screen HDTV and AV equipment. Guests are treated to a complimentary gourmet breakfast and light afternoon snacks. Other meals are also available for purchase at the champagne One Main Bistro, which is open for brunch and more. Visit the library in the early evening for wine and cheese. 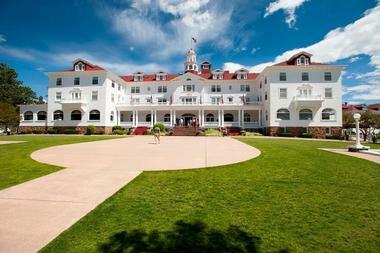 The Stanley is a historic Colorado hotel that was the inspiration for “The Shining” by Stephen King and has hosted numerous famous guests throughout the years. It is known for its haunted history. 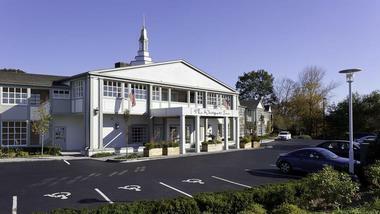 The hotel first opened in 1909 and now features modern amenities along with historic charm. The majority of rooms and suites have 42-inch flat-screen TVs, inviting seating areas, telephones with voicemail and data ports, pillow-top mattresses, hair dryers, plush liners, irons, and complimentary wireless internet. There are also historic rooms available, and some accommodations are dog friendly. There are 40 new Aspire Residences with full kitchens, washers and dryers, mountain chic décor, high-speed wireless, hypoallergenic bedding and HVAC, amazing views, electronic room signage, 50-inch Smart TVs, and Bluetooth alarm clock radios. The Lodge is an adjacent boutique hotel with 40 rooms and a complimentary daily breakfast along with most amenities of the regular rooms. Guests can also choose to stay in a condo with room for up to ten people. Savor a meal at Cascades Restaurant & Lounge or get a drink at the Whiskey Bar within the restaurant. 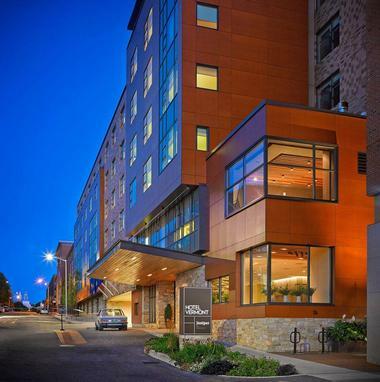 Hotel Vermont is located in downtown Burlington by Lake Champlain and offers modern yet rustic accommodations that combine the high tech with hand wrought features. Some of the 125 guest rooms can be pet friendly upon request. You can choose a room with a queen and a double bed or a king bed. Some also have whirlpool tubs or are suites. Expect amenities like stone tile walk-in showers, twin trundle beds, window sofas, full baths, soaking tubs, radios, nightly goodies, Vermont Flannel bathrobes, turndown service, living rooms, kitchenettes with fridges and wet bars, large LED TVs featuring Bose sound, and/or gas fireplaces. The entire hotel has wireless internet, and guests can relax by the fireplace in the lobby living room, on the green roof, or by the outdoor terrace. Guests can dine at Bleu Northeast Seafood, Hen of the Wood for down-to-earth fare, or Juniper, the bar and restaurant. The Bay Haven Inn aims to take guests back in time while allowing them to relax surrounded by history and nature, including the country and the beach. There are four guest rooms, each of which has a slightly unique style and free wireless internet along with amenities such as pillow-top mattresses, en suite private bathrooms, hair dryers, iHOME docking stations/clocks, signature spa robes, luxury bath toiletries, luxury pillows and linens, remote-controlled ceiling fans, central heating and air conditioning, full-size wardrobes, and bedside reading lamps. Choose a room with a queen or full size bed. Some also have Direct TV with DVD players and/or claw-foot tubs. During the day, you can sit on the wrap-around porch with its numerous seating options including a couch. There are also numerous nooks inside and outside for privacy and relaxation. Explore the extensive gardens with meandering pathways. All guests are treated to a hearty gourmet farm-to-table breakfast and can enjoy wine, beer, or iced tea in the afternoon or evening, which is self-serve. The Tides Inn is more than just an inn; it is also a golf course, spa, and marina, meaning guests never have to leave the property to enjoy everything Virginia has to offer. The inn is on a private peninsula and is situated next to Chesapeake Bay, giving guests sweeping water views and easy access to the marina. Most guest rooms have waterfront views or views of the lush gardens. Some also have living rooms, optional sleeper sofas, and wet bars. Because of the on-site marina, there are numerous activities to do, including paddle boarding, sailing, fishing, jet skiing, kayaking, and just enjoying the water. Take a marina tour and go crabbing or sign up for the cove cruise. You can also play a game or two at the golf course or venture off the property for more options. Take a morning bike ride, play the parlor or board games, or enjoy Frisbee golf. Guests can sign up for a mixology class or learn about oyster roasting. Relax in the Journey Spa or do some yoga. You will also find numerous kids programs for all ages. There are also s’mores in the evening on the beach or terrace. 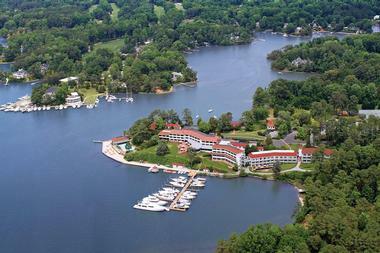 Get a meal at the resort’s Chesapeake Restaurant. The Rancho Bernardo Inn offers activities that make it the perfect getaway for romance, family vacations, or simple relaxation. Guest rooms have views of the luscious gardens, ample desk space, custom artwork, private patios or balconies, luxurious bath products and linens, flat-screen TVs, and wireless internet. There are 287 guest rooms and suites. Some of them have multiple bedrooms and bathrooms, living rooms, Keurig coffeemakers, patios with furniture, iHome docking stations, fireplaces, wet bars, dining rooms, and hardwood flooring. Relax in the resort day spa or play a game at the 18-hole championship golf course. There are also numerous shops in the resort along with multiple pools, including adult only and family-friendly options. The fitness center is open 24/7 and has complimentary towels, headphones, and water. You can enjoy in-room dining or eat at one of the restaurants like Avant for an upscale meal or the Veranda Fireside Lounge & Restaurant, which is also perfect for drinks. You can also grab a bite to eat or a refreshing drink at The Bar or Café Granada. The Maidstone is a hotel and restaurant with eclectic charm and Scandinavian influences in décor. There are nineteen rooms as well as cottages, all of which celebrate Scandinavian personalities. All rooms have linens and towels by Coyuchi, all-natural toiletries from Malin + Goetz, organic cotton bathrobes, complimentary organic coffee and Maidstone Darjeeling tea, electric kettles, aromatherapy burners and essential oilers, French presses, minibars with snacks and beverages, and Wolffer Estate champagne and wine. Guests can request a baby cot if they have need. You also have access to a shared DVD library. There are numerous common areas throughout the property that exhibit traditional design with modern elements. Several areas have fireplaces and interesting coffee table books. The Living Room Restaurant serves lunch and dinner with as many locally sourced ingredients as possible with the exception of ingredients that have to be imported from Sweden. All baked goods are made on site. In the morning, guests receive a continental Scandinavian breakfast tray, and room service is available 24/7. 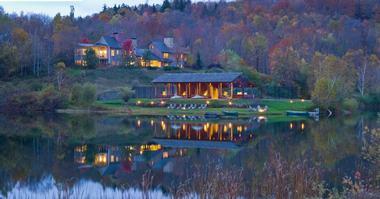 Twin Farms gives guests an all-inclusive experience surrounded by Vermont’s natural beauty. All rooms, suites, and cottages have unlimited phone calls worldwide, fireplaces, complimentary jigsaw puzzles to take home, a fully stocked fridge, twice daily housekeeping, a table, satellite TV, a reading area, a king featherbed, down pillows, comforters, handmade confections, luxury linens and toiletries, wireless internet, and complimentary laundry service. In the pub, you will find a full-stocked bar along with live music and a vintage jukebox that includes new CDs. The property has 300 acres of meadows, ponds, and forest for guests to explore, with or without a guide. Everything, including the guide, is included in your stay. You can also borrow a high-end mountain bike or comfortable cruiser to explore the nearby area. Try snowshoeing, cross-country skiing, swimming, play tennis, play croquet, canoe, downhill skiing, fly-fishing, or ice skating, or you can spend some time in the fitness center. There are also traditional games, books, and puzzles to choose from. A spa offers several pampering treatments for your relaxation. Ask for a box lunch to take with you when you go biking or hiking. The all-inclusive rate includes meals with spirits and wine. The Audubon Cottages is a group of historic one and two bedroom suites that provide luxurious private accommodations within the French Quarter. There are seven suites in total, and each has private or semi-private courtyards, complimentary wireless internet, waffle cotton bath robes plus slippers, hair dryers, in-room drawer freezers and fridges filled with complimentary beverages, Keurig coffee makers, and in-room safes. Two bedroom suites also have private sitting areas. All guests have exclusive access to the shared heated saltwater pool, which is believed to be the oldest pool in the city. It is set in original brick and surrounded by wrought iron chaise lounges and lush foliage. Guests can also enjoy the Garden House, which is air-conditioned and has views of the pool and courtyard. It has a 42-inch flat-screen TV, bar, and cocktail seating and is perfect for breakfast. There is a personalized French Quarter butler service as well for assistance with things like unpacking or making reservations. Guests are sure to enjoy the complimentary daily continental breakfast. 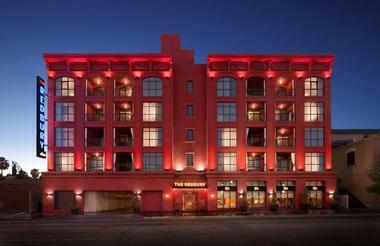 The Redbury is actually a group of three hotels with locations in Hollywood, South Beach, and New York. These luxury hotels provide a refuge from their surrounding areas and have similar features with a few differences. Redbury Hollywood has fifty-seven guest suites with walk-in rain showers, European-style kitchens featuring gas burners, furnished private balconies, and more. Redbury New York has 265 rooms with 300-thread-count bedding, spacious bathrooms, flat-screen HD TVs, iPod docking stations, complimentary wireless internet, and Ciel Bath Amenities. Redbury South Beach has sixty-nine rooms plus suites. All locations have concierge services, and guests have access to nearby gyms and spas. The South Beach location also has a large rooftop pool. The Redbury Hollywood offers Middle Eastern dishes at Cleo or an indoor/outdoor lounge at The Library. Redbury New York offers the Roman-inspired pizzeria Marta or the Bar Marta. Redbury South Beach also has its own Cleo restaurant. 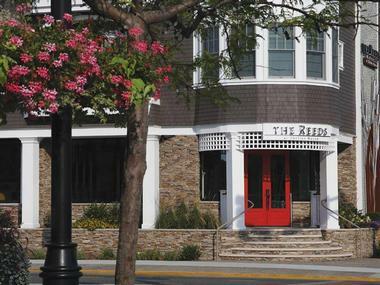 The Reeds has thirty-seven different guest rooms and suites, each with their own design. All rooms have views of the town or bay, custom white furnishings, nautical details, lounge chairs, private bathrooms with classic wainscoting, a frameless glass enclosed shower, LED make-up mirrors, marble top vanities, under-counter fridges, Frette towels and bathtubs, complimentary wireless internet and data ports, flat-screen TVs, safes, nightly turn down service, and Keurig coffee makers. Many also have private balconies and some have living/dining areas, bar sinks, drawer microwaves, kitchenettes, sofa beds, soaking tubs, and/or full kitchens. During the season, there is beach service and numerous bay activities like paddle boarding. Other amenities include yoga, a roof garden sundeck, and the Stone Harbor Golf Club. You can enjoy a meal at the seasonal upscale Water Star Grille or Sax at the Reeds, which is open all year long. For a casual meal, enjoy Buckets Margarita Bar & Cantina or get dessert at Wafflewich Waffles & Ice Cream. 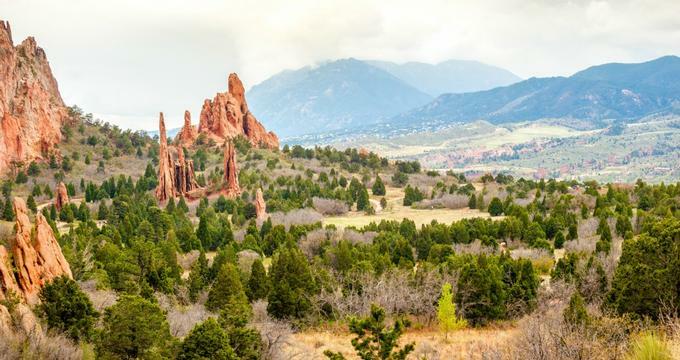 The Garden of the Gods Club and Resort offers guests amazing views of the nearby Garden of the Gods landmark with balancing rocks, sheer cliffs, and more. There are sixty-nine guest rooms, including fourteen suites, and all have spectacular views of the Rocky Mountains and the landmark. Amenities vary by room type, but can include a fireplace, two queen or a king bed, walk-in closets, oversized dressing areas, patios or balconies, double-sink vanities, bathtubs and showers, wet bars, and/or oversized seating areas. All rooms have hair dryers, robes, coffee makers and coffee, small fridges, large closets and powder rooms, dual-line phones featuring data ports, plasma TVs with cable, iPod docking stations and clock radios, in-room safes, Gilchrist and Soames bath amenities, wireless internet, and complimentary bottled water. Guests can relax at the resort’s full-service spa with a salon. 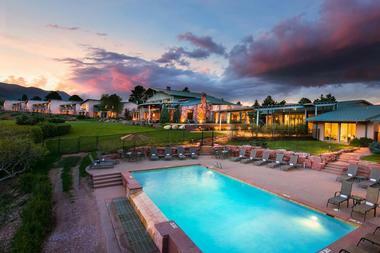 You can also take a stroll through the mountains, play tennis, or enjoy one of the two swimming pools at the resort. There is also a 27-hole golf course with bunkered greens. The front desk has DVD players and board games to borrow and there is complimentary valet parking. The resort also has a Sports Club, Family Recreation Center, tennis courts, dining room, and lounge. Nick's Cove gives guests the chance to stay in private cottages with luxurious comfort and rustic charm by the coves of Tomales Bay. Every room has plush down comforters, wood burning stoves, and private baths with heated ceramic floor tiles. You can choose a waterfront cottage or one with a water view and other amenities can include wireless internet, iPod docking stations, safes, speaker phones, data ports, deep soaking tubs, mini fridges, pullout couches, complimentary beverages, wraparound decks, honor bars, extra bedrooms, and/or private beaches. Some options are pet friendly. 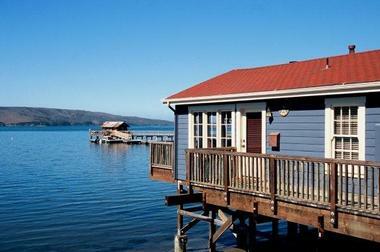 Guests have easy access to the waterfront when staying at Nick’s Cove. You can also enjoy a meal at Nick’s Cove Restaurant and Oyster Bar with its farm produce and fresh seafood. Bardessono combines exceptional elegance you expect from Napa Valley with contemporary luxury, and it is right in the heart of the wine country. There are sixty-two luxurious rooms designed to give you an amazing experience. All rooms have Fili D’oro linens made from 100 percent Egyptian cotton, REN bath products, champagne bath tubs/spas, fireplaces, motion-controlled exterior shuttering systems, iPads to order services, art photography, custom-crafted furnishings, Virtual Surround Sound Speakers, media hubs, 40-inch Sony LCD HD TVs, mini fridges with bottled water, VOIP cordless phones, make-up mirrors, and hair dryers. Some also have massage tables, private courtyards or balconies, gas fireplaces, outdoor showers, and/or indoor steam showers. 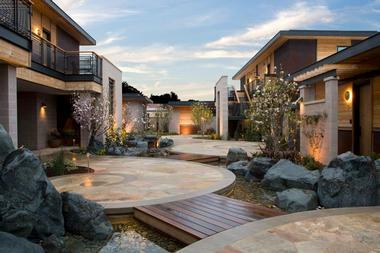 Guests can schedule an in-room spa service, swim in the rooftop pool, or stroll through the gardens. The Spa Therapy Center includes various treatments, a hot tub, and a pool. 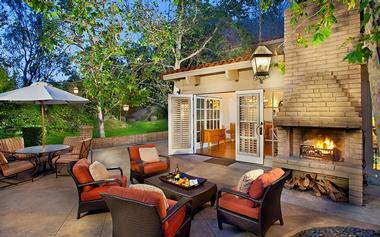 The property has high-speed internet, and guests can borrow bicycles to ride around Yountville. Eat at the on-site restaurant Lucy, which uses farm fresh ingredients. 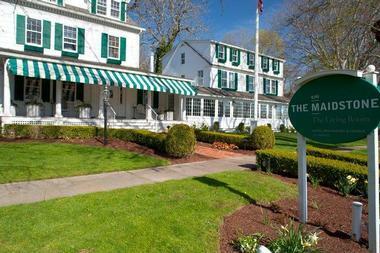 The Westport Inn is an appealing boutique hotel in Westport, CT with 117 guest rooms. All rooms have PURE bath products, luxurious bedding, complimentary wireless internet, iPod docking stations, and high-definition TVs. Classic Rooms also have a single king or two queen beds, desktops, workspaces, plush bedding, and well-appointed bathrooms. Deluxe Rooms have larger TVs, more space, marble-topped nooks with fridges, and shower/tub combinations, while Superior Rooms have cathedral ceilings and extra seating areas. There are also suites with a sitting area, living room, and pullout sofa bed. The hotel is pet-friendly and has complimentary maps and bikes, a fitness center, an indoor pool, parking, daily newspapers, free wireless internet, and available in-room fridges, private trainers, and massage therapists. Guests can enjoy a meal at Bistro | B, which uses fresh ingredients and serves French-American inspired dishes with an extensive wine selection. It is open for breakfast and dinner in addition to Sunday brunch. AutoCamp has two locations: one by the Russian River and the other in Santa Barbara. This is a unique, destination as it offers lodging in Airstream trailers with plenty of modern amenities along with communal areas. The suites all have luxurious hotel bedding, towels, and linens along with spa-inspired bathrooms featuring walk-in showers. You can also opt for a luxurious canvas tent with a modern interior. The rooms in Santa Barbara have boutique bath products, spa towels and bathrobes, and luxury pillow-top mattresses. There are also kitchens with double burners, electric BBQs outside, cookware, and complimentary tea and coffee plus a patio, and flat-screen cable TV. The communal areas are filled with quiet areas to relax and fire pit lounges both indoors and outdoors. You can purchase camping essentials, local wine and beer, or snacks on site. The entire property has wireless internet, and the sites are covered with paths that allow you to explore. There are also plenty of lawn games to enjoy. Guests at the Santa Barbara location can also borrow beach cruisers. The Westin Hotel & Resorts Savannah offers spacious rooms and suites with mini-fridges, iHome alarm clock radio stations, Westin Heavenly Bed and Heavenly Bath, 42-inch LCD TVs, air conditioning, phones, safes, and wireless internet. Some also have balconies, better views, an extra bathroom, a pull-out bed in a separate parlor, separate living areas, two desks and chairs, fireplaces, and/or entertainment areas. The Heavenly Spa is perfect for relaxation or you can take advantage of the Deepwater Dock to explore the water and go boating or fishing. You can play bocce ball or croquet or borrow a bicycle whenever you want. 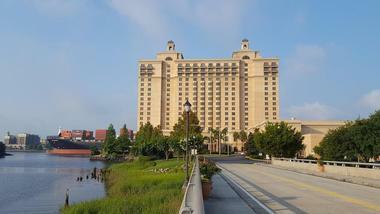 Guests have access The Club at Savannah Harbor with tennis courts, the Westin Workout Fitness Studio, and beach access. Take advantage of the RunWESTIN running routes or rent an ElliptoGO. You can also enjoy some time at the Road Course track or championship golf course. The Riverside Oasis has a full-service bar as well as a restaurant, large hot tub, saltwater pool, and interactive children’s area. There are multiple swimming pools on the property as well as a Jacuzzi and cabanas to rent. You can eat at Aqua Star Seafood Kitchen, Starbucks Café at Midnight Sun, or Champions Grill. 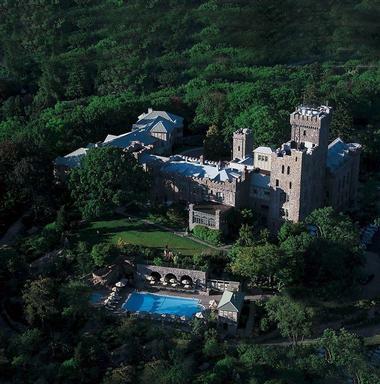 Castle Hotel And Spa a landmark hotel that pairs modern convenience and old world elegance. There are thirty-one guest rooms that are newly renovated and refurbished, along with several suites. All rooms have satellite flat-screen HD TVs, complimentary wireless internet, Keurig coffee machines, Bose sound systems, Tivoli radio, irons, THANN products, hair dryers, iPod docking stations, nightly turn down service, goose down comforters, imported plush bathrobes and linens, private in-room safes, and complimentary mini bars. Some also have four-poster beds, marble bathrooms, wood-burning fireplaces, amazing views, and Turret alcoves. The property has a one-mile long hiking and walking trail for guests to explore at their leisure. The THANN Sanctuary Spa provides relaxation and spa services. There is also a fitness center and a Jacuzzi. You can enjoy a meal at Equus, the fine dining restaurant on the property that uses organic, local ingredients whenever possible.